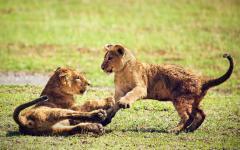 Tanzania’s northern safari circuit stands among the most famous and most visited wildlife regions worldwide. Nine days exploring this series of phenomenal national parks exposes visitors to so much more than just Africa’s prized Big Five on the Serengeti. 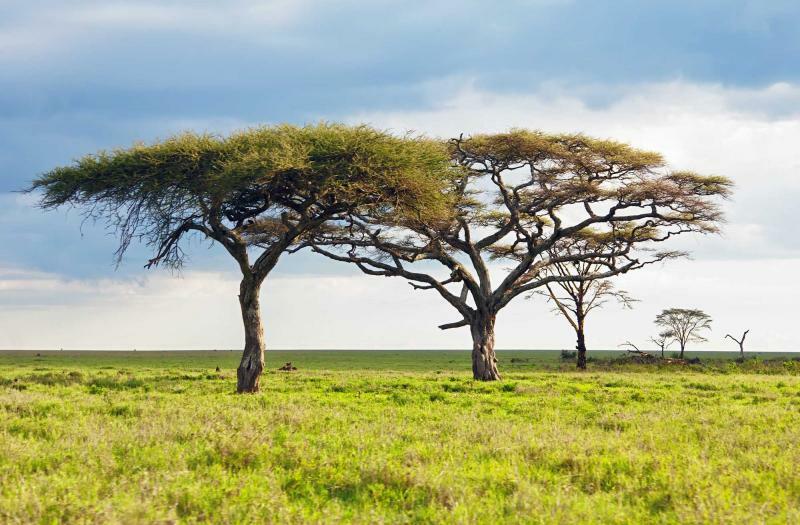 Coveted moments are spent beneath a baobab in tranquil Tarangire National Park, and on the lip of the prehistoric Ngorongoro Crater. Time spent with local communities further enhances the tour, making this experience far more than a simple safari. 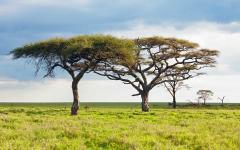 Delve into the wilds, immersing yourself in this remarkable region of east Africa. (Day 1): Arusha – Welcome to Tanzania! Begin your explorations of Tanzania’s northern parks in a remote corner of Tarangire National Park under the shade of a baobab tree. Drive alongside the life-sustaining Tarangire river, observing the multitude of species that flock to its shore in search of water. Watch as a large population of elephants feast on the leaves of an acacia tree, before you migrate back to a stunning Sopa Lodge for an evening of sundowners, fantastic food and fireside chats. 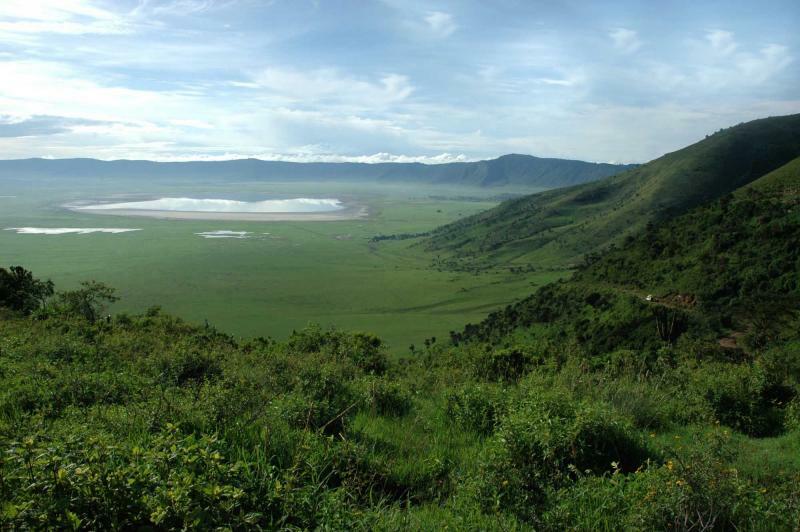 Move on from Tarangire to the Ngorongoro Crater, the world’s largest inactive volcanic caldera. This lush and fertile landscape perfectly complements your time in the arid region of Tarangire, while still offering spectacular wildlife encounters. Drive through the jungled slopes of the crater before emerging onto the grassy plains of the floor, circling the lake in search of rhinoceros, flamingo and leopard amidst innumerable ungulates. The crux of the tour occurs as you emerge from the crater floor out onto the endless grassy plains of the Serengeti. The final days of this tour are spent traversing these inspirational and epic plains in search of the Great Wildebeest Migration. Weave and wander along the dusty trails with an expert guide who will take time to highlight the smaller creatures and plants of this unbelievable ecosystem. 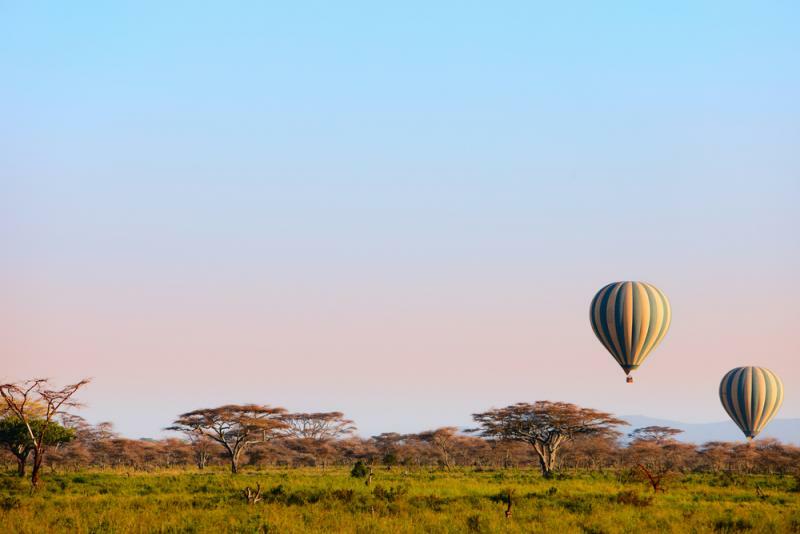 As the adventure draws to a close, send yourself high above the savanna on a luxurious and romantic tour from a hot air balloon, descending just in time for a glass of champagne before returning home. This tour has been designed to run year round. 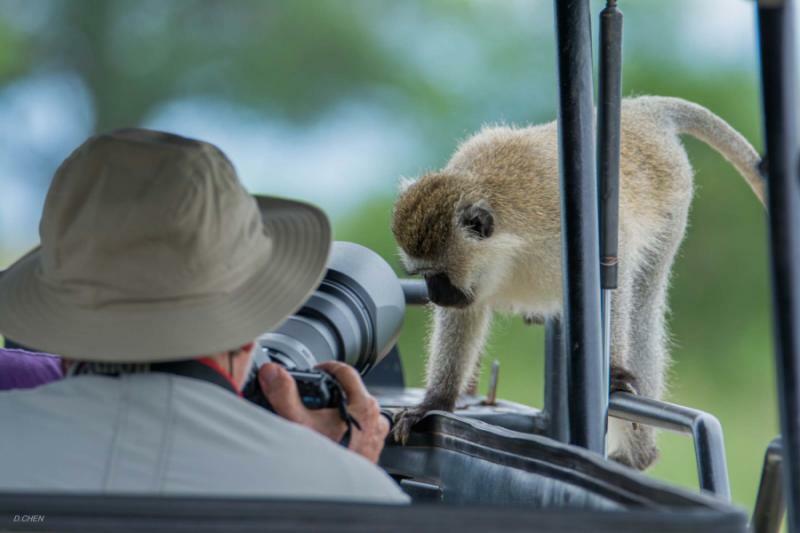 The best timing depends largely on your particular preferences and values in a safari. 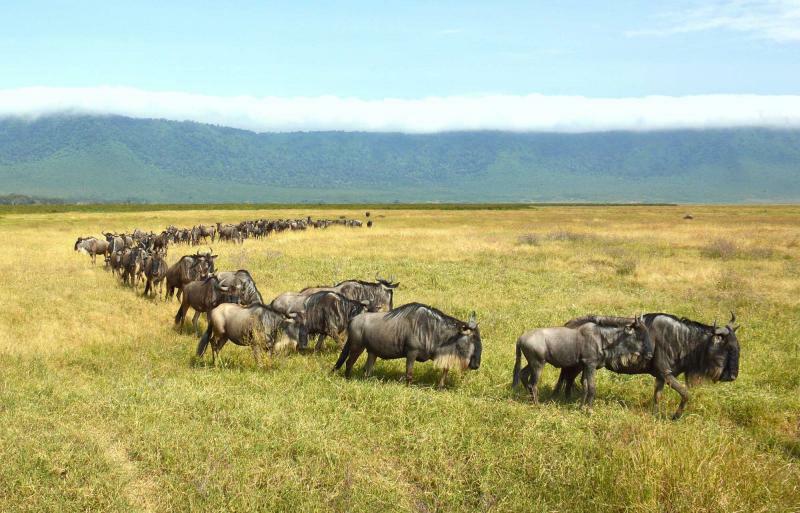 However, given that the Great Wildebeest Migration is a central component of this particular tour, we would recommend trying to time your visit between the months of October and April, when then wildebeest are found throughout the Serengeti. Within this period, the months of November and April are the most ideal for safaris in Tarangire, given that this is when the migratory herds flock to the park in search of water. 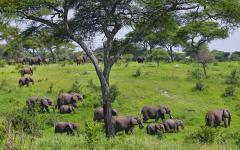 The busiest time in the Serengeti occurs between July and March, while low season generally lasts from November to May. This morning your plane will descend between the snowcapped peaks of Mount Kilimanjaro and Mount Meru as you land in the city of Arusha, Tanzania. A representative will meet you in the arrivals hall after you have cleared customs and collected your baggage, and together you will drive a short distance to the Lake Duluti Serena Hotel (formerly called the Serena Mountain Village). Located on an old coffee plantation in the lush slopes of Mount Meru, this retreat will be the perfect oasis to unwind and adjust to the African pace of life. Check into your private stone cottage and spend what remains of the day strolling through the tropical gardens that fringe the lakeshore. Should you find yourself with energy to burn, you may be interested in joining a mountain bike tour along the slopes of Africa’s fifth highest mountain. Alternatively, you might enjoy hopping in a canoe and paddling leisurely out into the center of the lake. It will be easy to slip into the serenity of this mountain paradise. Join the lodge in the central stone house for dinner round a blazing fire. Meals at Lake Duluti are almost entirely sourced from the surrounding region, and tonight’s dinner will undoubtedly be a fresh and organic taste of local cuisine. This morning you will drive down from the slopes of Mount Meru, and begin making your way into the bush as you travel towards Tarangire National Park. Named after the river that bisects the park, this baobab-filled landscape is one of the quieter parks in the country’s northern safari circuit. Entering the park gates, wildlife will become dramatically more visible as you make your way towards Tarangire Sopa Lodge. Nestled between a series of kopjes – rocky outcroppings – with panoramic views of the surrounding planes, this will be the perfect place to familiarize yourself with the wilds of Tanzania. You will arrive in time for a fresh lunch on the lodge’s outdoor terrace beside the swimming pool. Spend the peak hours of the day lazing quietly poolside, or relaxing in the shade of your private suite. As the sun’s strength begins to dwindle, set out in a private 4x4 for your first game drive through the bush. One of the biggest draws to this park is that it is relatively quiet, in comparison to the sister parks in the northern circuit. As you drive along rolling hills and wind alongside the river, you will enjoy moments of exclusivity in this unique ecosystem. 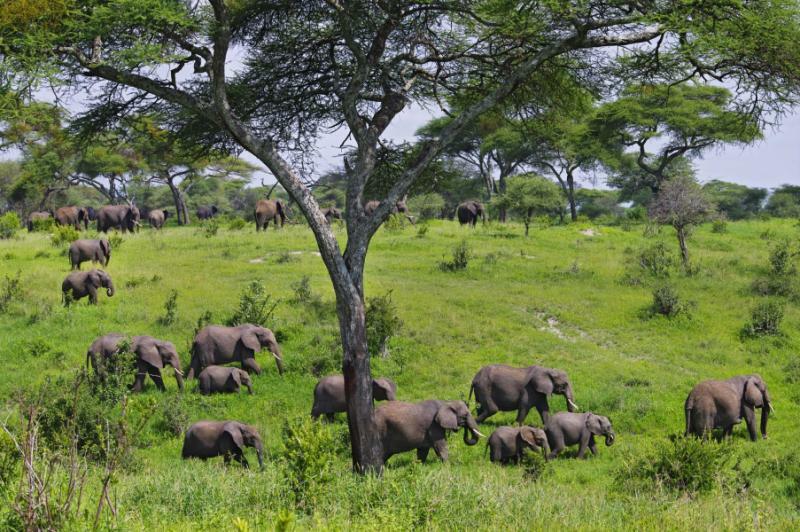 You will hopefully find yourself alone with one of Tanzania’s largest herds of elephants over the coming days, in addition to time spent with ungulates and birdlife. Return to the lodge as the sun begins to drop, moving towards the lodge’s upper deck for a sunset overlooking the plains below. Relish a cocktail before moving down to the outdoor patio for a dinner served under the starry night sky. Rise this morning to the smell of freshly roasted local Tanzanian coffee, and indulge in a breakfast of fresh tropical fruits and homemade pastries. Energized, you will set out for a morning safari with your skilled guide, who will lead you throughout the sixth largest park in Tanzania. Game drives will likely begin by winding alongside the Tarangire River, which provides year round sustenance to wildlife populations. This river becomes critical to survival during the dry season, when water elsewhere in Tanzania grows scarce. 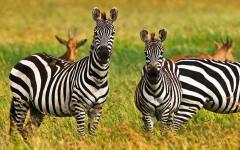 In these early morning hours, zebra, wildebeest impala and perhaps even a lion can be seen sipping on the shoreline. Birdlife along the river is also plentiful and diverse, with the Kori Bustard being a prized spotting. This bird is in fact the heaviest flying bird worldwide, and is a remarkable sight for those lucky enough to encounter one. As the sun grows stronger in the late morning, you might wish to return to the shade of the lodge for lunch and relaxation. There are incredible views from the marble main lodge, which is decorated with local Tanzanian art and artifacts. Return to the bush as the temperatures cool, and devote this final game drive to finding the species unique to Tarangire. With an ecosystem that is markedly different from that of the Serengeti and the Ngorongoro Crater, you will have the chance here to view some arid plains game, including the beisa oryx and the gerenuk. Going back for sunset, take part in what will quickly become a familiar rhythm of cocktails, dinner, and fireside chats followed by a peaceful sleep. As you migrate from the main fireplace late at night, be sure to walk with one of the lodge guards. The property itself is entirely unfenced, meaning wildlife is free to roam through in search of grazing land. Fall asleep to the sounds of a buffalo chomping on grass, or a hyena cackling on a nightly hunt. Following a breakfast under a baobab tree, you will return to your private vehicle and drive towards the Ngorongoro Crater. 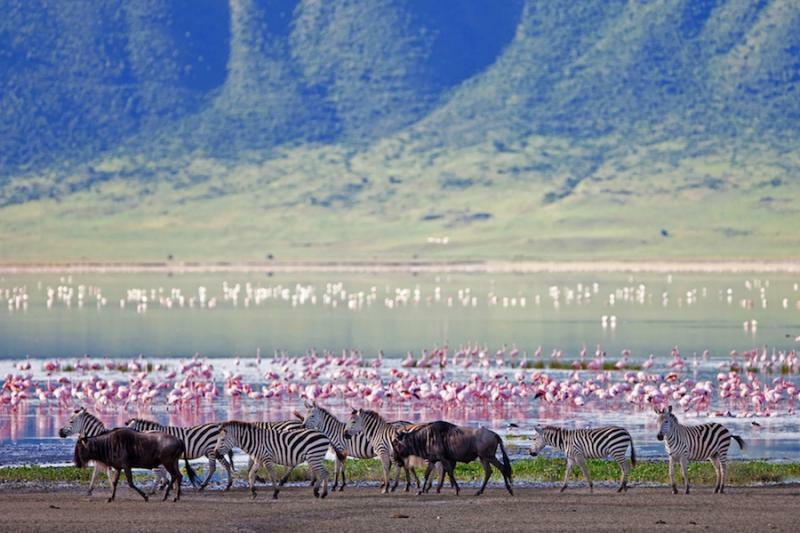 The arid landscape of Tarangire will quickly slip away as you approach the volcano-lined plateaus that surround the Ngorongoro Conservation Area. As the earth becomes lusher, and the terrain more dramatic, you will know you are nearing today’s destination: the Ngorongoro Sopa Lodge. Built on the ledge of this ancient caldera, this lodge has some of the best views across the plateaus and into the crater. You will be greeted upon arrival with a cool towel and a glass of passion fruit juice, before being escorted to your private thatched cottage. 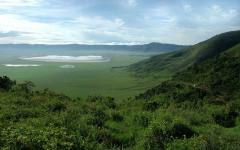 Enjoy a lunch with panoramic views of the crater, before descending to the floor on a late afternoon safari. Snake your way through the tangled jungle of the crater slopes as you work your way towards the sprawling grasslands of the crater floor. Teeming with wildlife, this natural enclosure is home to some of the densest populations of lions on the continent. 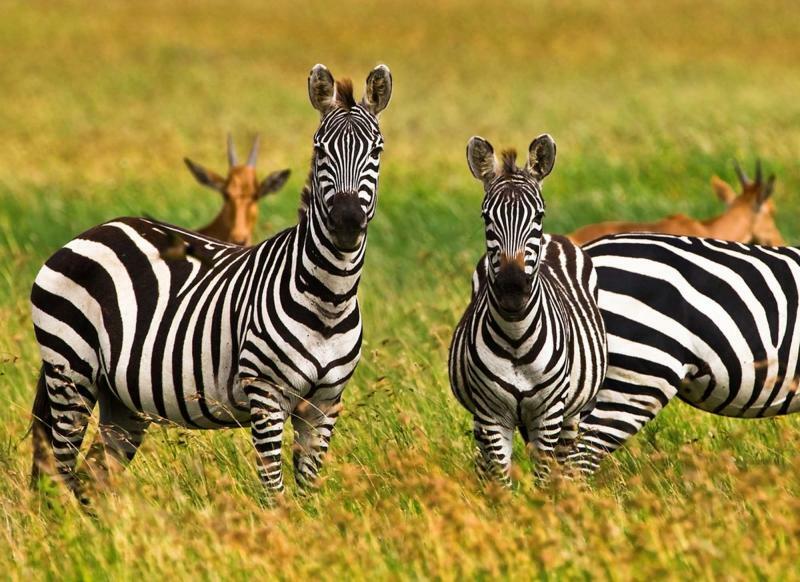 Ungulates, including zebra, wildebeest and gazelle, are plentiful year round, while predators lurk along the perimeter. Spend the afternoon driving along the dusty tracks before climbing back up the 600-meter escarpment, just in time for a captivating sunset from the lodge’s second story deck. Join other guests for a Masai cultural performance signaling the beginning of dinner, and then dive into a feast of international and local specialties. Sip a final glass of wine in the Crater View Bar, before sleepily returning to your private cabin. It would be worthwhile to rise early this morning in order to catch an indescribable sunrise as it lights up the crater floor. Peak over the ledge as chefs prepare a continental breakfast, with your coffee in hand. 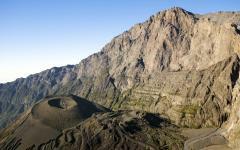 This morning you will return to the prehistoric landscape of the crater, in search of further wildlife encounters. You will spend some time traversing the lakeshore that sustains much of the resident species. Lined with flamingos as birdlife swirls above, this is the perfect place to pause with a pair of binoculars. 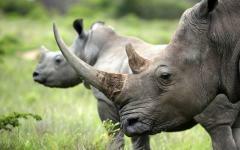 Keep an eye on the floodplains for sightings of the resident rhinoceros populations as well. 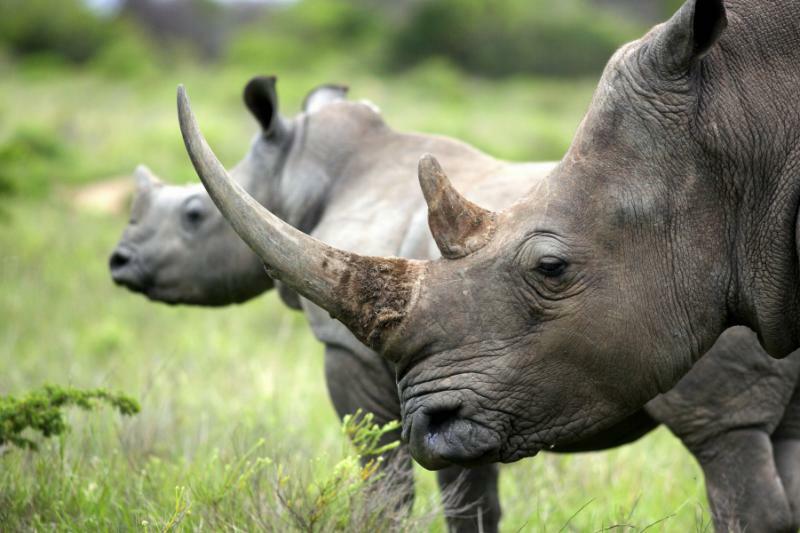 Though rhinos are an endangered species, they remain visible within the Ngorongoro Conservation Area. Jackals and Cape buffalo are other favorite sightings among those navigating the floor. Drive back up to the lodge in time for lunch, before you set out to visit a local Masai village in the afternoon. The Masai warriors are among the most famed and celebrated tribes in Africa, and are recognized by their checkered blankets, intricate beadwork and superior jumping abilities. A tour through their homestead will give you an opportunity to learn from the warriors as they tell you about their history, culture and traditions. Take time to visit an active Masai home before observing a cultural performance complete with the ceremonial adumu – the jump. Often, you will have the chance to purchase some authentic souvenirs made by the community members themselves. Return to the lodge in the late afternoon for that familiar and fantastic routine of sundowners, dinner and fireside chats. Eventually, tuck yourself into your cozy cabin, heated by a hot water bottle, as the cool night breeze blows through. 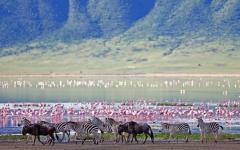 This morning you will travel away from the Ngorongoro Conservation Area and towards the famed plains of the Serengeti. 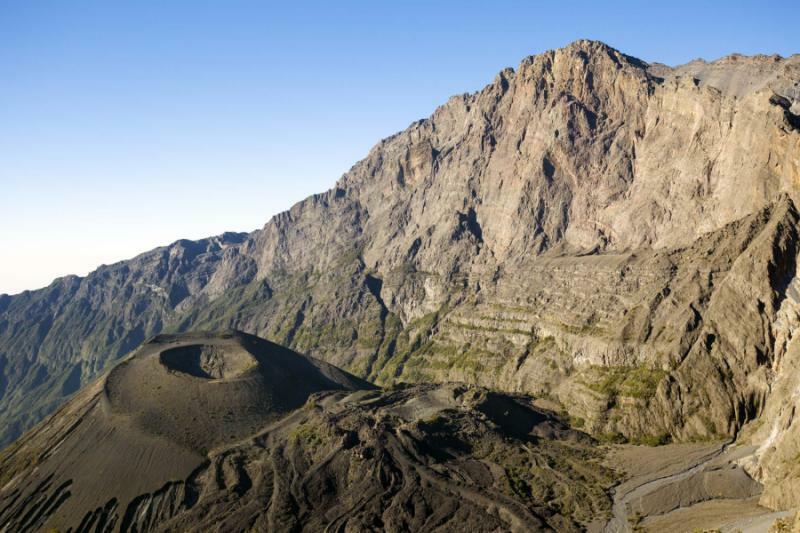 First, however, you will detour through the Olduvai Gorge – one of the world’s most important paleoanthropological sites. It was in this valley that Mary and Louis Leaky discovered the oldest known remains of a hominids skull, dating back 1.75-million years. Broken up into 40 pieces, this reconstructed skull came to define a new species in human evolution: the Zinjanthropus boisei. In the years surrounding, the Leakys continued to discover other evolutionary species, along with a plethora of tools. Take a tour through the Olduvai Gorge, stopping in at the visitor’s center for additional information on this historic site, before continuing westwards towards the plains of the Serengeti. In the late afternoon, you will climb into the Nyarboro Hills in the southwestern part of the Serengeti in order to reach your final destination of the trip: the Serengeti Sopa Lodge. Arriving in the late afternoon, spend the remainder of the day wandering around this expansive property, soaking in the views of the endless plains below. With a pool, fitness facility and WiFi in the main lodge, you will have every comfort in the heart of the wilderness. Step up onto the second story balcony of the main lodge to enjoy a cool breeze and, of course, a cocktail as the sun sets over this epic vista. Enjoy a freshly prepared dinner in the airy dining room before retiring to your private suite for the night. For many, these final days exploring the Serengeti are the climax of this safari tour in Tanzania. Begin your explorations of this world famous landscape with a bang, touring the region from the comfort of a hot air balloon. Departing before sunrise, seizing the opportunity to drift high above the savanna is really the only way to grasp the absolute vastness of the region. The silence of the wilderness is all-encompassing from these heights, creating an indescribable sense of magic and wonder. As herds of wildebeest stipple the landscape below, with the occasional elephant roaming through, the experience will feel completely surreal. Descend after an hour to a remote corner of the reserve to enjoy a champagne breakfast prepared fresh in the bush. From here, you will wind your way along the dusty trails back to the Serengeti Sopa Lodge, in time for a few hours of relaxation poolside before lunch. 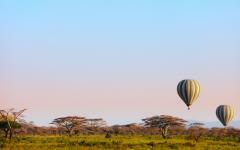 In the late afternoon, set out in a private vehicle to explore the Serengeti by land. 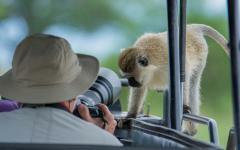 From the ground, you will be able to obtain impressive intimacy with some of the continent’s most renowned species. Watch a pride of lions doze quietly in the shade, or spy a group of giraffes as they pop their head above acacia treetops. Take time to learn from your skilled guide, who will be able to teach you of the lesser-known species of the bush as he shares with you their habits, traits and skills. For many, these chances to learn stand out as some of the best memories of the trip. As the sun begins to near the horizon, break from the routine of lodge cocktails, opting instead to find a quiet spot in the bush for a private picnic. As the sky theatrically transforms around you, enjoy the solitude felt in your personal part of the bush. While you and your party ultimately design and drive every day on safari, today we recommend devoting your time to observing the Great Wildebeest Migration. This phenomenal migration of two-million ungulates is heralded as one of the world’s most impressive natural feats, and if timed correctly, you will have the chance to drive into the epicenter of it all. Setting out at dawn, work your way along the dirt trails as your guide follows signs of the migration. Wildebeest will soon begin to speckle the horizon, growing in density as you near the central section of the migration. Soon, you fill find yourself completely surrounded by the species – though keep an eye towards the perimeter, where hungry predators are often seen lurking. Spend the morning weaving in and out of grazing ungulates, occasionally moving towards sections of the herd relocating to their next destination. The migration follows an annual route between the Serengeti and Kenya’s Masai Mara, in perpetual pursuit of greener pastures. It will be your decision whether you opt to pack a picnic and spend the entire day in the bush, or return to the lodge for some midday relaxation. Much of the wildlife retreats to the shade during these peak hours, making this the perfect time to finish that book, or borrow a new one from the library. Set out again in the late afternoon for a final round of explorations, seeking out a few final species you have yet to see, or visiting past favorites once more. Enjoy one final evening of sundowners, a thoughtful meal and an extra-long fireside gathering before drifting asleep to the surreal sounds of the bush. This morning, wake to watch a final sunrise over the Serengeti with a warm cup of coffee in hand. Feast on one final continental breakfast overlooking the plains before driving towards the airstrip, 45 minutes away. Here, you will board a plane that will fly you back to the city of Arusha, landing in time to connect onwards with your international flight. Depending on the time of your scheduled departure, it may be possible to return to Lake Duluti for the afternoon. Of course if at this point, you’d like to add on a few extra days of adventure, we would be happy to organize a bespoke trip extension. After days in the bush, many guests enjoy a few days of indulgence on the tropical shores of Zanzibar, exploring all that the island’s Swahili culture has to offer. Others enjoy a more physical challenge, opting to hike Mount Kilimanjaro on a four to eight day trek. The country is ultimately yours to discover, and we will happily work to ensure that this trip is no less than perfect. 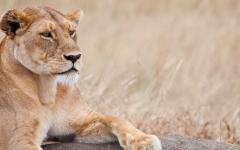 See for yourself what Zicasso’s travelers had to say in their travel reviews of Tanzania safaris.